Want to feel old? Konami's Castlevania series has now been going for 30 years. The franchise began life on the Japan-only Famicom Disk System as Akumajou Dracula. This title was released in North America as Castlevania in May the next year and was followed by two NES sequels - 1987's Castlevania II: Simon's Quest and 1989's Castlevania III: Dracula's Curse. Across the past three decades Castlevania has appeared on numerous formats, including the SNES, Game Boy, N64, PC Engine, Mega Drive, PlayStation, Saturn, PlayStation Portable and - most recently - 3DS, Xbox 360 and PlayStation 3. The last mainline entry in the franchise was Castlevania: Lords of Shadow 2, with the last Nintendo outing being the spin-off Mirror of Fate, based in the same "rebooted" storyline. 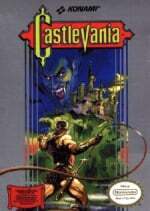 Throughout the history of the franchise there have been many classic titles, including Super Castlevania IV on the SNES, Belmont's Revenge on the Game Boy and two critically-acclaimed trilogies on the Game Boy Advance and Nintendo DS which explored the "Metroidvania" blueprint popularised by the seminal Symphony of the Night. The franchise is famous not only for its tight 2D gameplay and gothic setting, but also its excellent music and character design. Since the Lords of Shadow sub-series came to a close, Konami appears to have put the Castlevania franchise out to pasture, with only pachinko games being produced. What are your favourite memories associated with this classic bloodsucking series, and which title stands out as your favourite? Let us know by posting a comment below. Everybody loves pachinko with Dracula right? Right? Castlevania is the best. Haven't played all the ds iterations but the nes and snes versions are always revisited especially around Halloween time. Great music and great side-scrolling gaming! Oh, I played this one too and Belmont's in it. Played 1 and 2 on the NES for ages as a kid, and Dracula's Curse (NES) and Dracula X (SNES) later in life. 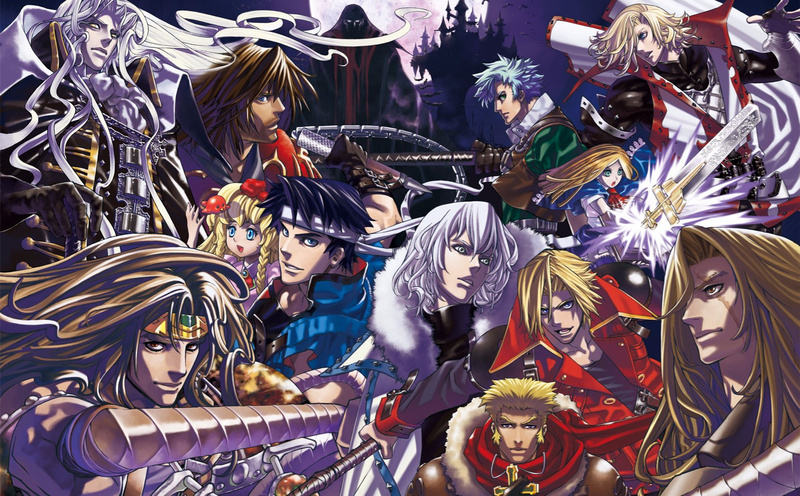 The music is as legendary as the Belmonts themselves. I have completed Symphony of the Night about 20 times in the playstation and the PSP after unlocking it in The Dracula X chronicles. Symphony of the Night is still one of my favorite games! But I also grew up playing the first 3 on the NES. I thought #3 was awesome because you could play as other characters. I think I've played all of the 2D games except for the 3DS one and I never actually played Castlevania 4. I skipped out on the N64 games, but I did play the Cursed Mask....although I didn't like it. RIP Castlevania, forever in our hearts. @Ryu_Niiyama There is who love pachinko, you don't want it don't mean they shouldn't do it ( or doing it with making a game for us ). Yes, we want a new Castlevania game, everyone know, and of course Konami know that too. All company want to make games for their fans, but unfortunately, the will alone don't produce good games. @Amine ...you realize I was cracking a joke right? Castlevania was always one of my favorites. Symphony of the Night had an amazing world, Order of Ecclesia was one of the best playing, and I still have a huge fondness for the original. Also, I was a big fan of the Genesis game. Bloodlines, I think? The GBA Castlevanias are also a bit underrated, I feel, especially the one with Sonya Belmont. Must admit I've only played Mirror of Fate. I know it didn't get glowing reviews but I really enjoyed it (flat ending aside) and have played through it a few times. I thought the graphics and 3d were fantastic, the music atmospheric and the game perfect for a blast now and again. I miss the old Castlevania, hated the reboot - it wasn't necesary! They could have made a game about the Demon Castle Wars of 1999! I personally looooved the Lords of Shadow reboot, namely because it channels Super Castlevania IV (my favorite in the series) with its decidedly darker and more unsettling atmosphere. The first time I played Super Castlevania IV, tho, I was so freaked out by the intro cutscene and the music in the game that I literally buried the cartridge in the back of my closet. I kept having nightmares about it for years until I dug it out in 4th grade and played it to completion. Needless to say, I conquered my fears AND ended up loving it! I remember having the first couple of Gameboy games, got them when they came out. I prefer Bloodlines to IV, but Rondo is still the best. @kupo Lords of Shadow was a great game and had a great story, despite being so criticized by many. I'm a fan of the classic Castlevania games, but I have no problem appreciating Lords of Shadow for what it is. Glad to see you feel the same. I still remember how stunned I was coming from a Commodore Amiga to a Super Nintendo to witness the visuals and audio of "Super Castlevania IV". But probably my fondest achievement was picking up from acquaintances a Japanese copy of "Akumajou Dracula X: Gekka no Yasoukyoku" for Playstation just a month after it's original Japanese release. They sold me because they were hopelessly stuck but with a bit of digging around the Internet I stumbled upon "Castlevania Dungeon" and the solution for the problem. It is very hard to pick a single game as my favourite because even at their worse they still manage to be more than most games in the genre and as such while most people chose to hate what Konami has become, I chose to cherish what Konami has given in my youth, with Castlevania being just a slice of a delicious pie. Please enjoy some gameplay from the original FDS version. Despite the loading times, the extra noise channel on the Famicom Disk System really adds a punch to the soundtrack, as it did in "Zelda" and "Metroid". ...also, I did like Rondo of Blood on the Wii VC, but found the challenge a little too much - I'd love it to release on the Wii U so that I can rampantly abuse the save state feature and see more of it! I had all the 2D Castlevania for NES, Super NES, Genesis, Game Boy, GBA, DS, PS1, Wii, and PSP. The only ones I didn't own are those 3D ones which were craps on the N64, PS2, 3DS, and PS3/Xbox 360. @Amine It is fine. I know sarcasm is hard to read in text, but I was hoping my word choice and the sweatdrop face would convey my tone. Oh well. Have a nice day! @Ryu_Niiyama they don't have the talent anymore to make a good one. They ran off all their best directors and producers. At this point the only way we will get a good castlevania is if they farm out the ip to the right studio. A wonderful series among my favorites. Not every game was a winner, but I enjoyed my share with Castlevania 1 and 3, Bloodlines, Rondo, Aria of Sorrow, Portrait of Ruin, and Ecclesia being the standouts for me. @Blister Do you have a 360? You can get it on that. @Jimmy_G_Buckets Sadly I don't have a 360, but it's useful to know that - might be a cheap route to playing it! Thanks! How many years does it take to vanquish the night? Thirty. Apparently. I remember sinking countless hours into Simon's Quest when I was a little kid. I never made it very far, but that was ok. I was obsessed with the atmosphere of the game. I drew countless pictures of Simon slaying ghouls and skeletons. I also remember running around the yard, with a makeshift whip I made with pieces of string, pretending to be Simon on his epic quest to slay Dracula. Great timing! I actually just picked up Akumajou Densetsu on Famicom yesterday. It's soooo good, especially the soundtrack. Fair warning, if you've never heard Castlevania III how it's meant to sound, this might blow you away. CASTLEVANIA and CONTRA are my 2 favorite franchises of all time. Konami has really let me down as of late. Symphony of the Night is the pinnacle of Castlevania. One of the best games ever. Happy birthday, and RIP Castlevania. Was and still is one of my favorite game series. Thank god Koji Igarashi is making Bloodstained, at least someone tries, Konami. @SmaMan That's the magic of the VRC6 sound chip. Awesome memories of playing Castlevania games Happy birthday!! I liked this series a lot, especially the metroid style games in the series. And I still have yet to play a single game from the series and I have no clue why, because they look right up my alley since I like games with a kind of gothic look and the fact that is an exploration focused action platformer makes me want to play one even more, because I love that genre. The mainline "Igavania" games-- Symphony of the Night, Aria of Sorrow, Dawn of Sorrow, Portrait of Ruin and Order of Ecclesia-- are just unfathomably good. There is not a single series with the same mixture of graphics and controls that are basically crack to me. Order of Ecclesia was an amazing high note to end upon. I hope Bloodstained lives up to their pedigree. @FrankJaeger But... you died in Zanzibar! Well... and then you died again against gear Rex... so I guess I should get used to you coming back to life. Still, even if you are one of my favourite characters Gray Fox, at this rate you could become the Krillin of MGS. Now, about the topic, I agree ith everything you said. Whoa - I'm admitting that I'm getting old now! I remember going to a friend's house to play Castlevania around when it came out... I was never any good at it and those controls were so damn stiff.. You eventually work around it though. I have it and CV3 on the 3DS and am still chipping away at them. I beat CV4 on Wii U last year- very tough and long game. Just got Dracula X for Wii U which has its difficulty surges, and will eventually get SOTN on PS network when it dips down in price again. Great game series, wish I would have played it more as a kid. Well... I am still I kid I guess, who just has to act professional and like an adult outside the 4 walls of my house and outside my 4 wheeled steel cage person carrier. Now if only someone knew why we never got Simon in Smash. I've always felt there must be some bad blood somewhere to have kept him away. I loved castlevania I, II was meh, and I've yet to play 3, and have missed a lot since then. Was hoping we'd get a sale so I could pick up some of the DS entries. I remember in II that I ran all OVER that map having got to a quest point or something, and was stuck until my some random chance I knelt near a lake (as I recall) that opened up another path, no idea why that was so obscure to do, but I was certain the game was just bugged and I messed up somehow. Love Symphony of the Night and the GBA and DS games that came afterwards. It would be awesome to have a 3DS version for Symphony of the Night, wouldn't it? I had arrived after getting Portrait of Ruin with its preorder bonus pouch with "wax seal" during Castlevania's 20th anniversary. Looking forward to more redemptive adventure with Bloodstained and hopefully more ports of the least available games in the series, too. I'll never forget the silent days playing Castlevania 64 and Harmony of Dissonance. Hopefully Konami will sell away its rights to this series, soon (as well as Goemon, Bomberman, and many others), so that 30 years from now, we might finally see Julius Belmont's 1999 chronicle acted out. Don't worry, we do have a great Castlevania on the way. It's just called Bloodstained now. Maybe Konami is working on Castlevania Survive too? I'm not 100% sure but I've read a while ago that SOTN and PS1 games in general aren't on the PS4 yet. Look around the web to be sure. It's only available on PS3 and Vita. And 360 too I think. @BensonUii Actually, I am sure you are correct about this. I only read about PS3 and Vita. Thanks. I remember my Mom not wanting me to play any of the Castlevania games; she was concerned about the horror genre and thought collecting Dracula's body parts was horrible. This was in the early 90s, when "Simon's Quest" was all the rage for the NES. In retrospect, Mom was right; I got hooked on the series big-time, spending countless hours (no pun intended) on "Super Castlevania IV" and later "Symphony of the Night". But eventually, it started taking a toll on my thoughts and emotions; I found myself caring more for the story of Dracula than the need to destroy him. Ultimately, I gave up the series, and most of the horror genre as well. It just wasn't worth the mental and emotional chaos anymore.